Bigandhot.com is the platform which brings both advertisers, outdoor media owners and vendors on the same place. With our attractive features and unmatched coverage of outdoor media sites throughout the stretches of India, now advertisers can find the best outdoor advertising media from the comforts of their home and office's. BigandHot also provides hoarding vendors the facility to advertise and promote their outdoor media sites free of any cost through this exceptional portal. The services offered at Bigandhot.com are: With our attractive features and unmatched coverage of outdoor media sites throughout the stretches of India, now advertisers can find the best outdoor advertising media from the comforts of their home and office's. BigandHot also provides hoarding vendors the facility to advertise and promote their outdoor media sites free of any cost through this exceptional portal. Search for all kind of available Outdoor Media from anywhere in India. Complete details of the outdoor advertising site with picture's, Size, Facility to contact BigandHot. Hassle-free acquisition of the desired media site. Complete assistance from Bigandhot.com outdoor media portal. Real time FREE listing of outdoor media sites based on their availability. Free of cost promotions through online mediums. 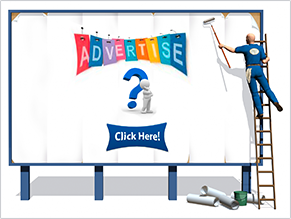 Increase visibility to advertisers. Fast and convenient deals for their advertising media. Free SEO and Social Media based advertisements for their advertising site. Complete assistance by Bigandhot.com outdoor media portal for all transactions. So connect with BigandHot today and experience the revolution in the field of outdoor advertising. Signal Posts. and lots more. BigandHot has ownership of a large number of Outdoor Sites in West Bengal beside that Bigandhot.com is the platform which brings both advertisers, outdoor media owners and vendors on the same place. 1) SERVICES (WITHIN WEST BENGAL): BigandHot provides risk FREE environment for Advertisers, Hoarding owners or Vendors. Advertiser can search and select suitable outdoor media from the site and Ask for quotation to BigandHot, BigandHot will let the Advertiser know on availability, Rents and other details. After receiving work order from Advertiser BigandHot can provide additional services such as..
d) Monitoring of vendors, Big and Hot's representative will physically visit hoarding location and will capture photos of the hoarding with the proof of date on any two days of the month. 2) SERVICES (REST OF INDIA): Advertiser can directly contract the Vendors or outdoor media owners and eliminate the role of middle-men and advertising agencies in the transaction. With the help of Big and Hot vendors and advertisers can connect directly in a hassle free manner and rent out or lease-in the outdoor media of their choice. It was great working with these peoples.They provide complete advertising Solution for your Product.